I’m back! After a long midterm-induced hiatus, I will again be posting on a regular basis. This weekend, I got roped into dinner at my parent’s house, with my dad’s boss and coworker. The second I walked in the door, my parents put me to work in the kitchen. I made the hors d’oeuvres. 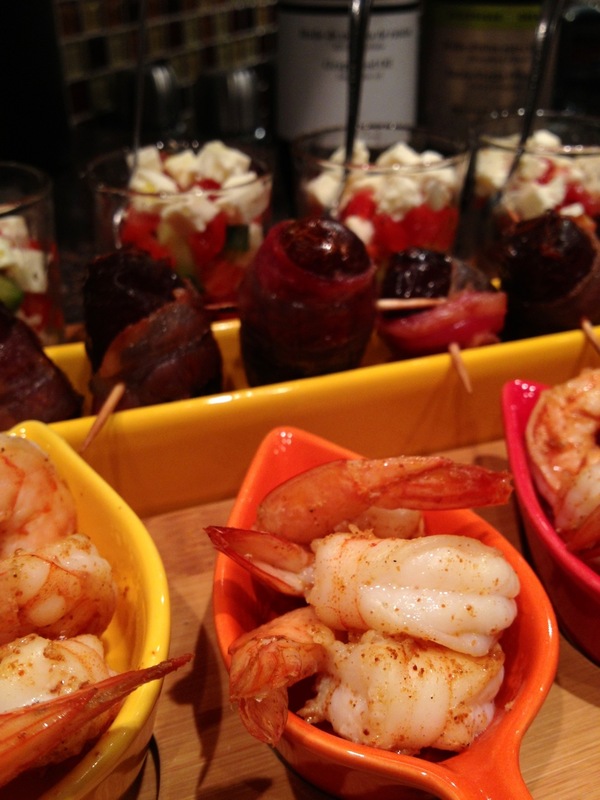 I love tapas, though I usually just use the name as an excuse to eat a whole bunch of random hors d’oeuvres as a meal. I had two seconds to snap the picture of the plate I prepared. It had individual Greek-ish layered salad, warm dates stuffed with goat cheese and wrapped in bacon, and finally, spicy shrimp. Since I took a class on Hinduism in college, every time I have tapas, I think of the spiritual meaning of the word, though I know it’s unrelated to the Spanish food type. Anyways. 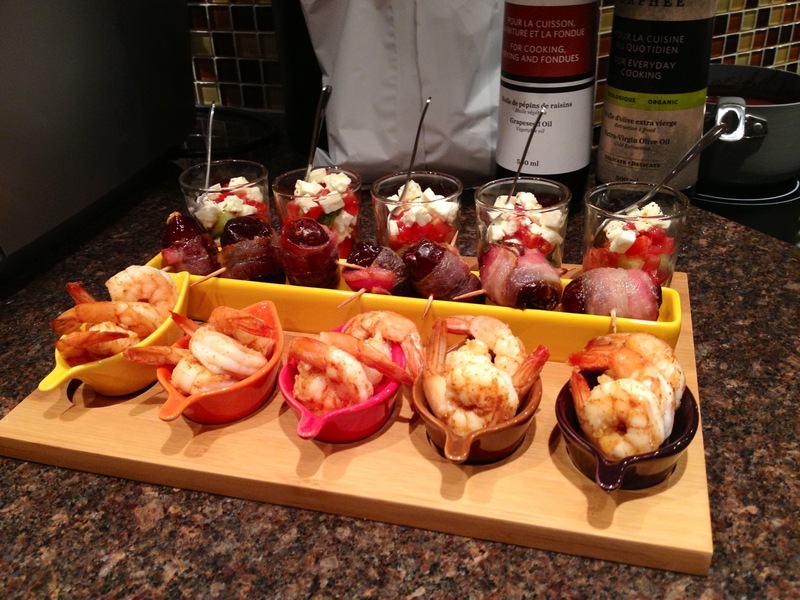 I’m thinking of having a tapas dinner party myself, since this one was so well executed.